How to travel around Japan in 10 days? Here’s your answer! Annual leave days are far and few between. So when we managed to “chope” our annual leave, much to our joy, we tend to always want to make the best of it. 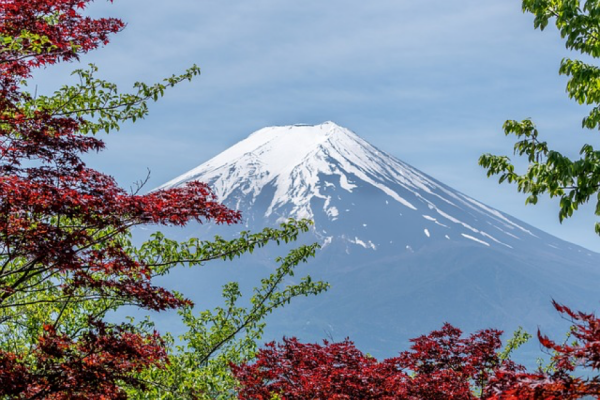 If you’re thinking of taking long leave this year to travel and Japan is one of the countries on your list, make sure you utilise your time there wisely. This guide is meant for travellers who want to get the most out of their 10-day trip to Japan by seeing the most of Japan’s favourite sites with a couple of “off the beaten track” suggestions. Tokyo is a must when visiting Japan. The capital city of Japan is unlike any other. Its vibrant lights, crowded spaces and quirky culture will keep your interest piqued for days. Three days is most definitely not enough to see all you can see here in Tokyo but it offers a great first dip into the kaleidoscopic pool of excitement that it is. Upon arriving from the airport, choose from various ways of getting into the Metropolitan Area. As Journey of Japan recommends, beyond the JR Narita Express, budget transportation into Tokyo also exists like the airport limousine. Stay in Shibuya, where the heart of the hustle and bustle is. The iconic busiest intersection in the world is a must-not-miss, where you can enjoy taking plenty of shots here. The whole area is lit up in neon lights and glaring billboards, and you can spend the whole day exploring the various bars, restaurants, malls and plenty of entertainment. 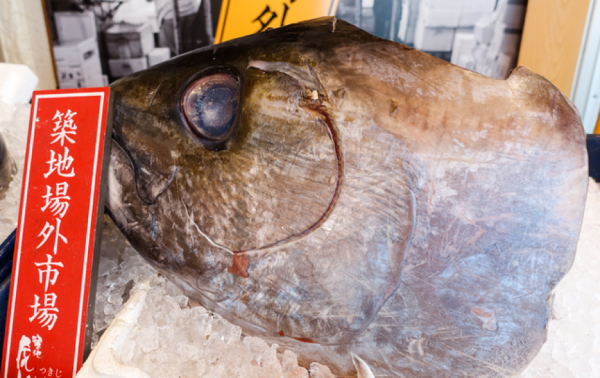 Discover plenty of food here in Tokyo from street food offerings to fine dining. Don’t miss out dishes like okonomiyaki, sashimi, ramen, yakitori and more! Hit up some of the world famous spots like Harajuku (to see what eccentric styles have sustained), Tsukiji fish market, Shinjuku Gyoen National Garden, Meiji Shrine, Tokyo DisneySea, Tokyo Tower and Ghibli Museum. That will definitely take up three days at least! So, pick what is most important to you and focus in on those activities. This is a great day-trip to do after a rush through the first three days. It will give you a breather before you power through the rest of the trip. Hakone offers more of a rest and relaxation experience. Take a long dip in the famous hot springs here before exploring the beautiful town. Be sure to also hop on a cruise around Lake Ashi-no and if the weather permits, you will catch a glimpse of the majestic Mount Fuji. Besides that, Hakone is also famous for its hot springs. There are twenty hot springs in the area, which you can see in the full list on Journey of Japan. Hop onto the Shinkansen (the bullet train) to fast forward straight to Kyoto, a city that most travellers will include in their itineraries. Kyoto is a great location for you to do multiple day trips to places like Hiroshima, Nara or Himeji. Hiroshima should be factored into your plans while in Kyoto. The city was largely destroyed in 1945 by an atomic bomb during the war. Walk through the hauntingly attractive Hiroshima Peace Memorial Park and spend the day learning its history. Don’t forget to drop by Miyajima Island, best known for its widely photographed scarlet torii gate. 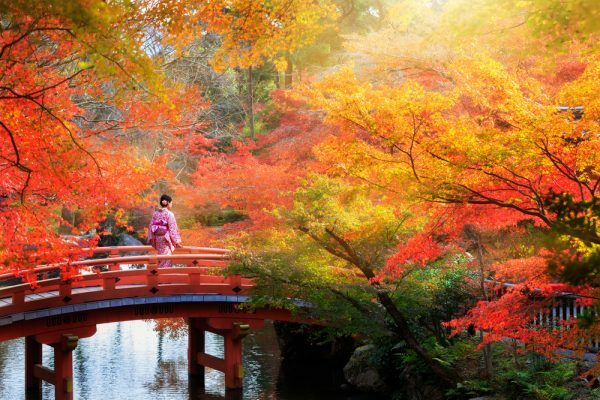 Kyoto’s old world charm will bring you back in time and if you’re the kind of traveller who likes that experience, you will not want to leave this city too quickly. 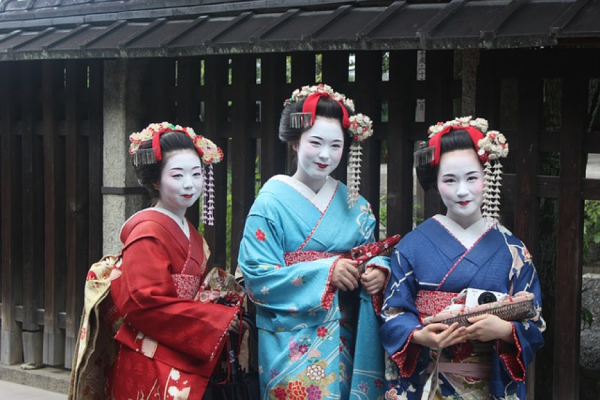 Kyoto is also famous for its geishas in the Gion District. The female entertainers are an icon and should be paid a visit. The city is also home to many stunning ancient temples, teahouses and gardens for you to explore, like the Golden Pavilion, Kinkaku-ji. And of course, be sure to taste the local cuisine here in Kyoto. Sink your teeth into dishes like Kyo-wagashi, Kaiseki and for the vegetarians, Shojin Ryori. If you’re looking for a totally off the beaten track experience, Journey of Japan has written extensively on a lesser known activity – tea picking and spring tea festivals! Again, this city deserves way more than three days, but if you’re only in Japan for 10 days, packing in a couple of days for this destination is an essential! It is one of the three biggest city in Japan and it is known for its food! Osaka would be any foodie’s haven and you will want to try as many things here as possible in these two days. 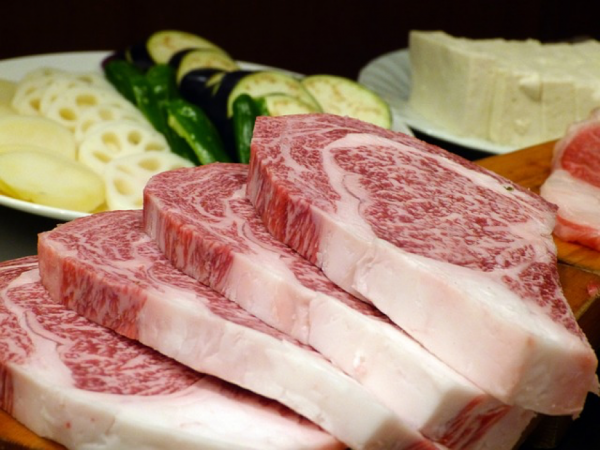 Move your way up to takoyaki, kushikatsu and yakiniku (Japanese BBQ – don’t forget the Kobe beef! You can even take a day trip to Kobe from here if you want the authentic experience. Then end with some green tea desserts that can be found everywhere! Experience a hotel buffet in Osaka like no other – this is where you will learn what Japanese hospitality is like in a large scale. Journey of Japan recommends Rihga Royal Hotel. 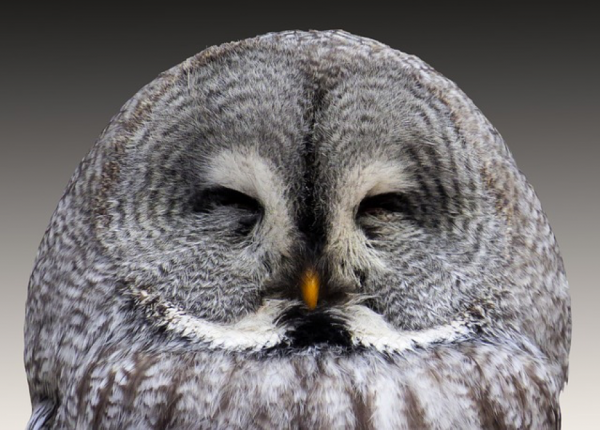 Oh and have we mentioned that there’s an owl cafe in Osaka? That’s right. Get up close and personal with the hunters of the night here – they’re really cute and not at all menacing! If you have the time, which we recommend making time for, you should also make a trip to the onsen. It’s not too expensive as many places only charge S$16 per entry. 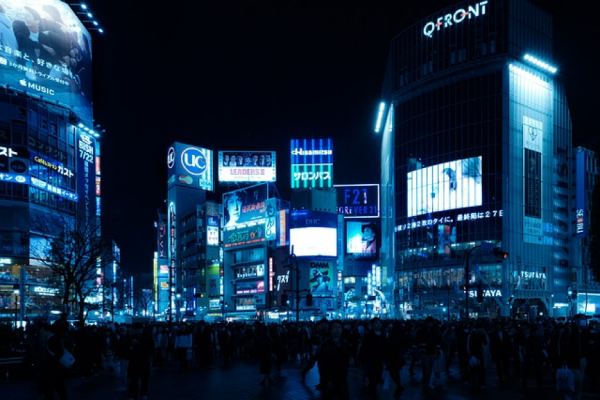 For sightseeing, be sure to drop by Dotonbori, a popular area for entertainment and nightlife. Visit Osaka Castle to take pictures against the beautiful backdrop and also don’t forget to drop by Universal Studios theme park if you want a day out of adrenaline-pumping fun! Of course, there are many ways to visit Japan, which would depend on what type of traveller you are. A good site to refer to when planning for your trip is Journey of Japan. It is a one-stop guide to Japan with relevant and up-to-date information for travellers. See Japan in the eyes of a local through Journey of Japan’s comprehensive database of restaurants, hotels, bars, shopping malls, entertainment outlets and more.